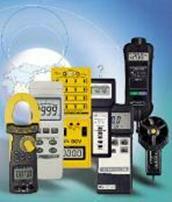 DataLoggers | Test and Measurement Instruments C.C. Data loggers and data recorders acquire digital data from sensors and other signals such as Vibration, Light & UV, Humidity, Temperature, Carbon Dioxide, RPM, PH, Force Gauges, Pressure, Conductivity, wind speed and many others. They are used to store data for subsequent downloads to a host PC, but may also include real-time features such as monitors and alarms. Important specifications to consider when searching for data loggers and data recorders include differential analog input channels, digital I/O channels, sampling frequency, resolution, and accuracy. Differential channels use the difference between two signals as an input; common mode will be filtered out. With some systems, differential inputs are combinations of two single-ended inputs; in this case, twice the number of differential channels would be available as single-ended inputs. Digital or discrete channels are used for low-level on-off signals used in applications such as communication, user interface, or control. Sampling frequency is the frequency of the analog signal sampling and conversion to a digital value. Resolution refers to the degree of fineness of the digital word representing the analog value. A ten-bit number contains 210, or 1024, increments. A 0-10V signal could therefore be resolved into approximately 0.01V increments. A 12-bit representation would be in 212 (4096) increments, or divisions of 0.0024V for the same signal. Each additional bit doubles the resolution, and one bit is required for the polarity (sign) of a number. Data loggers and data recorders accuracy depends on the signal conditioning linearity, hysteresis, temperature considerations, etc. It is represented here as percent full scale of measurement range. Common form factor for data loggers and data recorders include IC or board mount, circuit board, panel or chassis mount, modular bay or slot system, rack mount, DIN rail, and stand-alone. Applications include general lab or industrial, environmental, vehicular, marine, aerospace or military, seismic or geotechnical, weather or meteorology, and medical or biomedical. Common signal inputs available for data loggers and data recorders include DC voltage, DC current, AC voltage, AC current, frequency, and charge. Sensor inputs include accelerometer, thermocouple, thermistor, RTD, strain gauge or bridge, and LVDT or RVDT. Specialized inputs include encoder, counter or tachometer, timer or clock, and relay or switch. Transducers and excitation are also important to consider when searching for data acquisition. Many data loggers and data recorders have integral sensors or transducers. These sensors can have voltage or current excitation. Common outputs for data acquisition products include voltage output, current output, frequency output, timer or counter output, relay output, and resistance or potentiometer output. Considering the user interfaces available is important when searching for data loggers and data recorders. User interfaces available include no display, front panel and display, touch screens, hand-held or remote programmers, and computer programmable. Host connection choices include direct backplane interface, RS232, RS422, ST485, USB, IEEE 1394, GPIB, SCSI, TTL, parallel, Ethernet, modem, and radio or telemetry. The transmission rate of data is important to consider. Many data loggers and data recorders are web enabled for web addressing. Additional specifications to consider when searching for data acquisition systems and instruments include application software, memory and storage, network specifications, and environmental parameters. Data Loggers, World’s most compact units with built-in Temperature, Light, Vibration and Humidity Sensors. Battery life up to 2 years with over 1 Billion Readings. Data Loggers for paperless recordings of events such as with built-in sensors for Temperature, Vibration, Humidity , Light, PH, Carbon Dioxide as well as many others. The MSR Units have been used in space on the way to the International Space Station (ISS). Datalogger, World’s most compact units. Up to 5 diff sensors & 4 analogue Inputs. Battery life up to 2 Years. Waterproof. Over 1 Billion Readings.USB Data Output. Datalogger, Up to1600 Acceleration measurements per second. 2 Years Batt. life. Over 1 Billion Readings.USB Data Output. Up to 5 sensors & 4 other inputs. Datalogger, Anodized Aluminium Case. 2 Years Battery life. Over 1 Billion Readings. USB Data Output. Up to 5 sensors & 4 other inputs. SD Card Paperless Data Logger/ Recorder with Real Time, Sampling Time (1sec to 9 Hours). Built-in Clock & Calendar. Takes SD Card to16GB. No software needed. Data Loggers, Wireless. LED Graph Display with Cloud Storage and Personalised Access. Built-in or external Temperature, Light, Vibration and Humidity Sensors. Conductivity Meter. Real Time Data Logger. TDS and Salt Measurement. Pt Glass Electrode. 200uS/ 2 mS / 20mS / 200mS. Salt 0% - 1% (weight).RS232, USB out. Data Loggers, Wireless. High Operating Temp. of –20°C to 125°C. Built-in or external Temperature, Air Pressure and Humidity Sensors. TM-LD9100 Series/ LD9104 Free Software download. 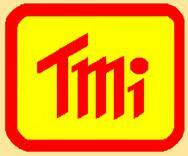 TM-LD9100 Series/ LD9104 Help Manual. Datalogger, RECOVIB TINY. 3– Axis Shock & Vibration datalogger. DC to 250Hz , Low Noise, Wireless during Measurements, Synchronises Simultaneously with Multi Sensors. Models -2G/6G, 15G or 200G units.